President Barack Obama has granted national monument status to nearly 1.8 million acres. The land is part of the scenic Southern California desert. It is a move the White House says will maintain in permanency the region's fragile ecosystem and natural resources. It also will provide recreational opportunities. To do it, Obama signed proclamations. They established three regions as national monuments. The regions are Mojave Trails, Castle Mountains (both in the Mojave Desert) and Sand to Snow in the Sonoran Desert. The White House says the designations will nearly double the amount of public land that Obama has designated as national monument status since he took office. "The monuments will support climate resiliency in the region," the White House added in a statement. The designations will also connect those regions to other protected government land. 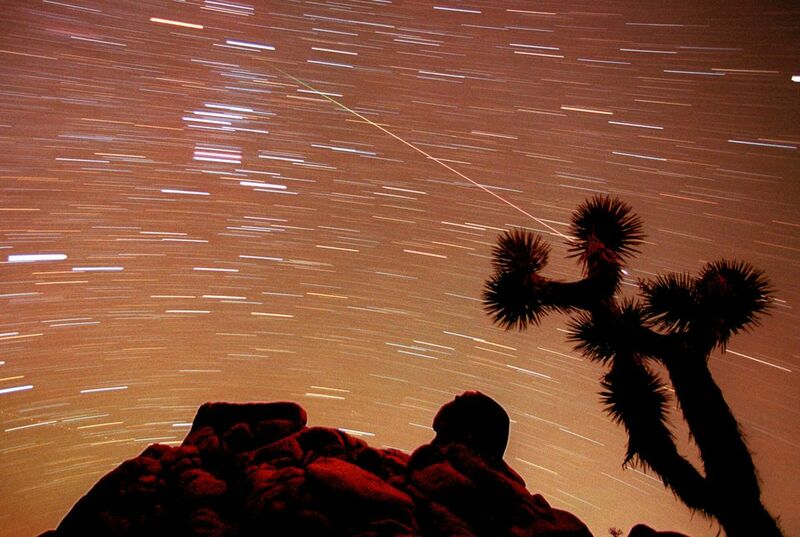 Those include Joshua Tree National Park, the Mojave National Preserve and 15 other federal wilderness areas. Mojave Trails National Monument takes up 1.6 million acres. It is by far the largest of the three new ones. Mojave Trails sprawls across the vast Mojave Desert. It contains ancient lava flows. There are stunning sand dunes. It has ancient Native American trading routes. And it includes World War II-era training camps. In addition, it has the largest remaining undeveloped stretch of America's Mother Road. That is along historic Route 66. Castle Mountains National Monument also is in the Mojave Desert. It links two mountain ranges. The area covers nearly 21,000 acres. They hold numerous important Native American archaeological sites. The area is also home to golden eagles, bighorn sheep, mountain lions and other wildlife. Sand to Snow National Monument rises from the floor of the Sonoran Desert to the 11,503-foot peak of Mount San Gorgonio. It is Southern California's tallest alpine peak. Its diverse landscape includes the headwaters of the state's Santa Ana and Whitewater rivers. It is home to 240 species of birds and 12 endangered or threatened species of wildlife. It also contains an estimated 1,700 Native American petroglyphs. And, it has 30 miles of the Pacific Crest National Scenic Trail. Petroglyphs are ancient carvings in stone. The federal Antiquities Act was adopted in 1906. It grants the president the authority to protect landmarks, structures and objects of historic or scientific interest. To accomplish this, the president can designate them as national monuments. Why do deserts need to be protected? Deserts need to be protect because there are animals in there that are wild and in danger. Deserts need to be protected because they are very unique and house many species, some endangered. The text states, "Mojave Desert....The area is also home to golden eagles, bighorn sheep, mountain lions and other wildlife." the text also states, "Sonoran Desert... It is home to 240 species of birds and 12 endangered or threatened species of wildlife..." This means that there are many different species, including endangered species, living in the deserts. Deserts need to be protected because they have many things that could be ruined if humans interact with them. For example in the text the author states that "It has ancient Native American trading routes. And it includes World War II training camps." Now imagine if people started driving their cars through their. The trading routes would be gone. Maybe someone decides to build a mall where the training camps are because they weren't protected. Also in the text the author states that " It is home to 240 species of birds and 12 endangered or threatened species of wildlife. If we let people destroy the desert imagine what will happen to the animals. Especially the endangered and threatened ones. If they weren't being protected right, I wouldn't be surprised if I woke up one morning an there was a new extinct species. 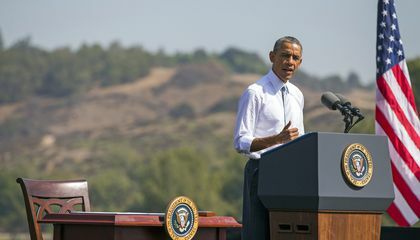 This article talks about President Obamas recent designation of three new national monuments that will be instilled within the Southern California. The presidential party hopes to maintain the fragile ecosystem in the area apart from providing recreational opportunities for hikers and climbers. As far as how this article relates to ethics, it is admirable to see President Obama take an interest in the environment after so many years of abstinence. Obama plans to further his goals for future sustainability which in turn may turn the heads of people who don't care about being green. The future will be what holds us. Deserts need to be protected because they are just as much of an ecosystem as a rain forest. They are home to certain types of animals, and if they were destroyed, those animals would likely go extinct. I'm glad that President Obama is taking steps to help protect land. Deserts need to be protected because the temperature goes up ever year and many of the plants die so people need to give the plants water. The deserts hold many animal species and also Indian tribes. Without the desert, they would not have a place to live. In this article it reports Obama's latest actions on persevering the desserts of California. It continues to detail more about the benefits of the choice making as well as the benefits of saving this desert. This article shows the power of politics and through all the bad publicity politics are able to do good for our country and environment. Deserts need to be protected because they are just as much of an ecosystem as a rain forest. They are home to certain type if animals,and if they were destroyed,those animals would likely go extinct. I'm glad that President Obama is taking steps to help protect land. Deserts need to be protected because they are an important ecosystem to the world. The desert is an important ecosystem because some deserts like the Sand to Snow are "home to 240 species of birds and 12 endangered or threatened species of wildlife." Since this desert is now protected these many species of animals are now safe and their home will not be tampered with. Finally the deserts can "hold numerous important Native American archaeological sites." These sights are very important to history and now can be even further looked into. My opinion on this article is that it is crazy how much desert there really is... More than 1.6 billion acres!